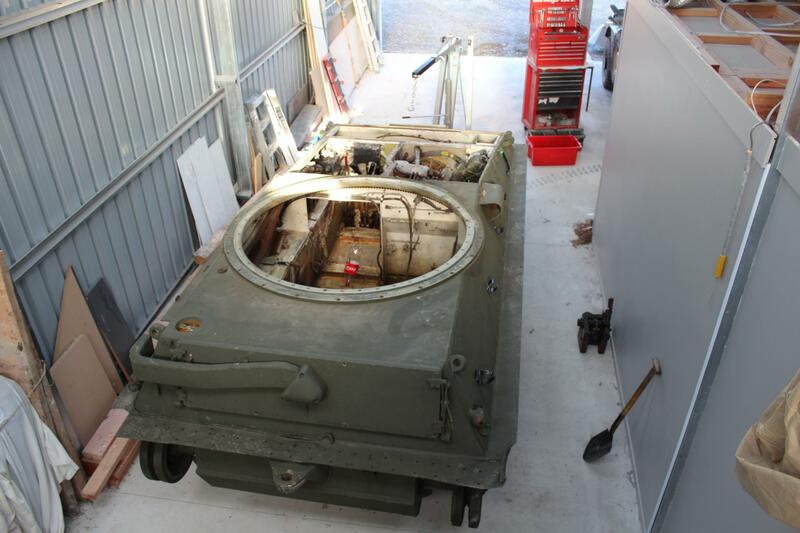 Like others I have been meaning to start a forum on a vehicle restoration but never sat down to do it. Now is the time to start and luckily I have taken lots of photos to remind me of progress. A lot of stuff you may have seen on similar forums but hopefully you can see what can be achieved by 2 novices at this restoration game. Myself (Phil) am in the Business Insurance game. 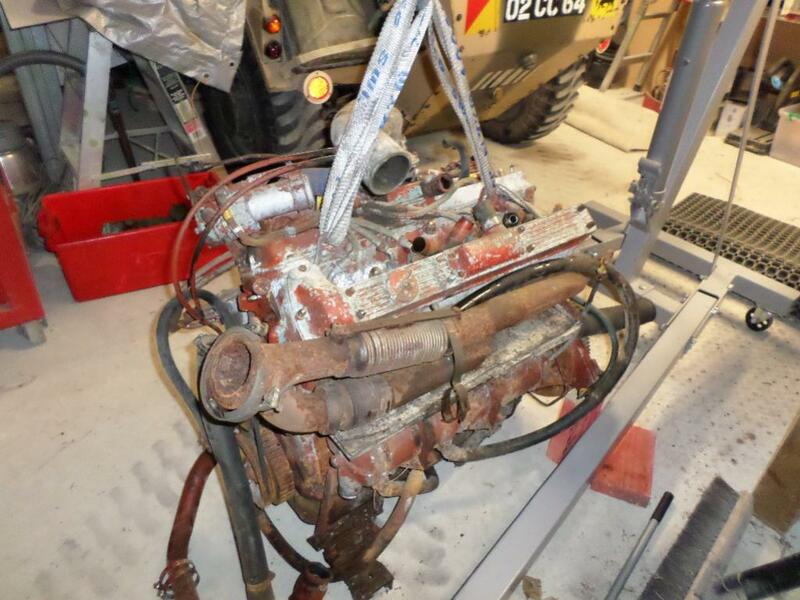 Own an ex New Zealand (NZ) Army Series 2a Landrover and have always been interested in restoring a vehicle but never taken the plunge. 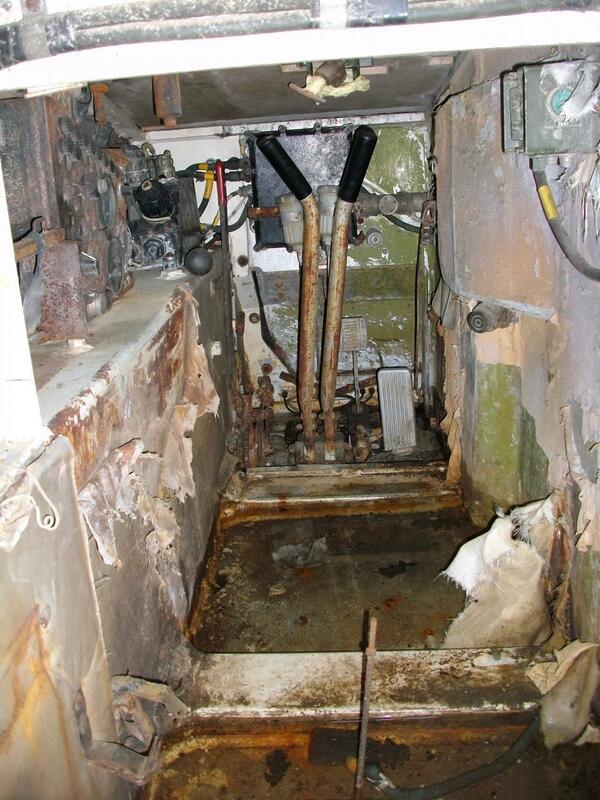 Brett is a qualified diesel mechanic and runs his own contracting company. Owns a Daimler Ferret Scout Car and Jeep. Forgive us if we use the wrong technical terms. 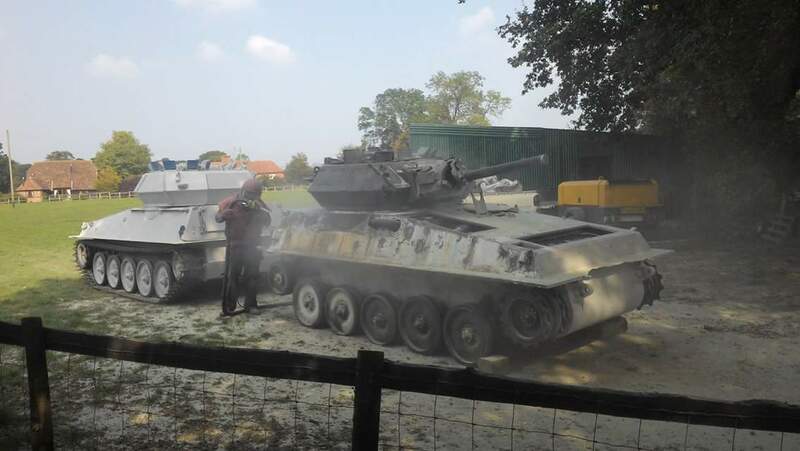 We have however come to grips cvrt’s vs tanks. Scorpions vs Scimitars with Scorpion turrets etc etc. Why a Scorpion? 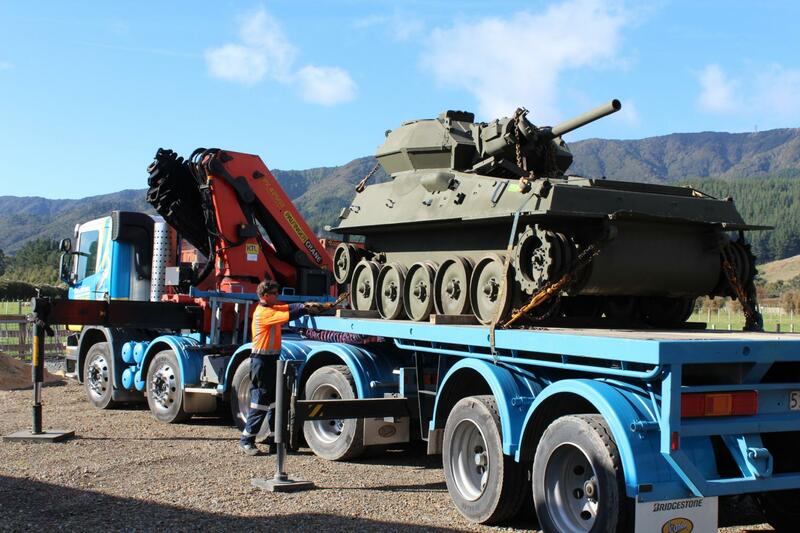 New Zealand operated 26 Scorpions from circa 1983 to 1996 replacing Ferret Scout cars and M41 tanks. 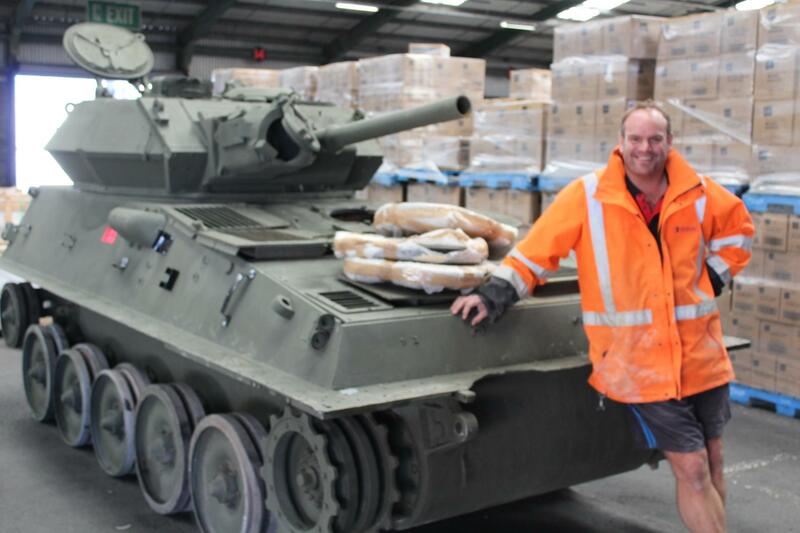 The majority were sold off, I believe to Helston Gun Smiths in the UK, with others being scrapped and 2 remaining with the Army Museum in Waiouru. 1 is a static display and the other is in running order. 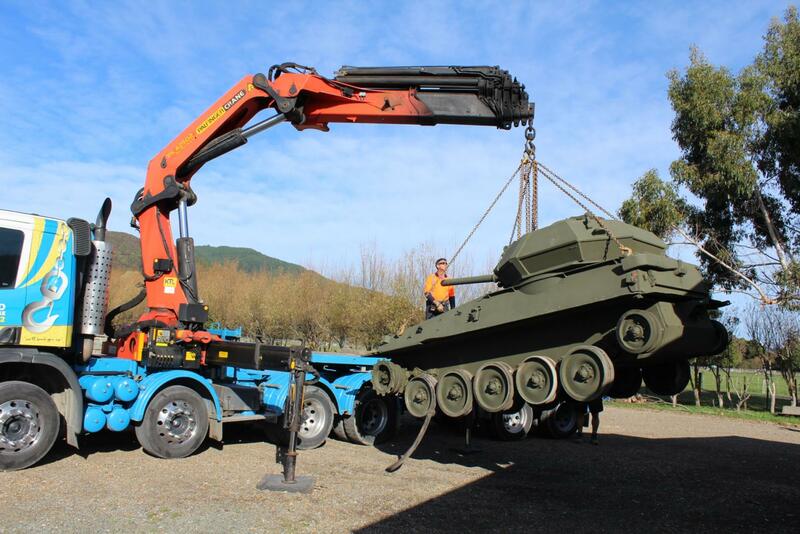 The attraction therefore was to have a tracked armoured vehicle of a type used by the NZ Army. The search began with advertisements on Milweb and HMVF back in August 2015. 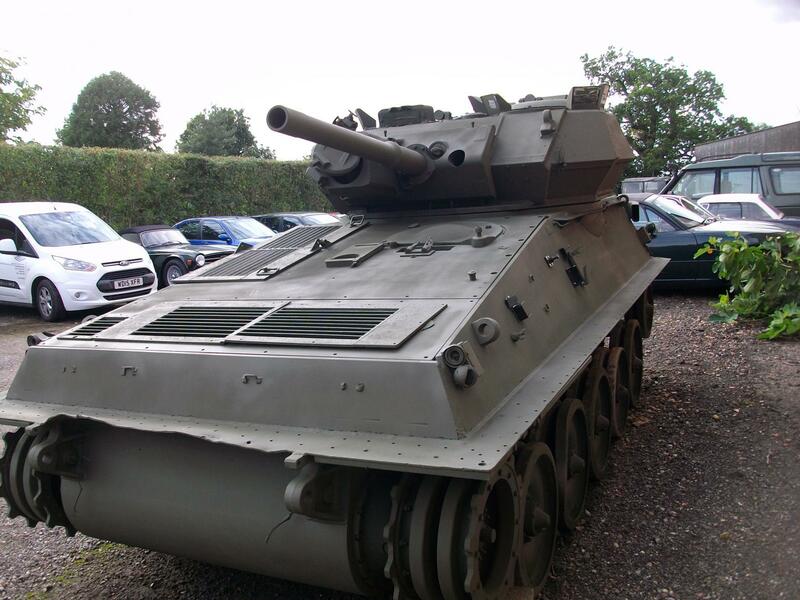 From there and after some false starts a ex Belgium Scimitar with Scorpion turret was located and purchased. Welcome which part of NZ are you guys ?...remember there is no such thing as too many photos...good luck with your project !! 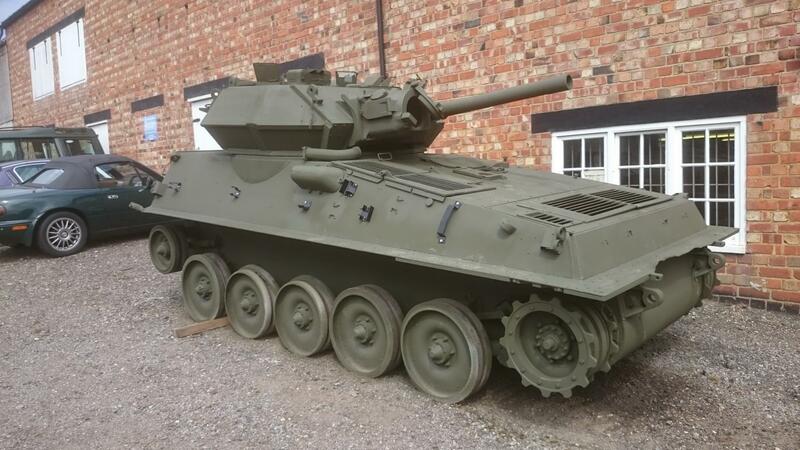 Hi Phil, great project , we can now run a "Troop" (3) locally! 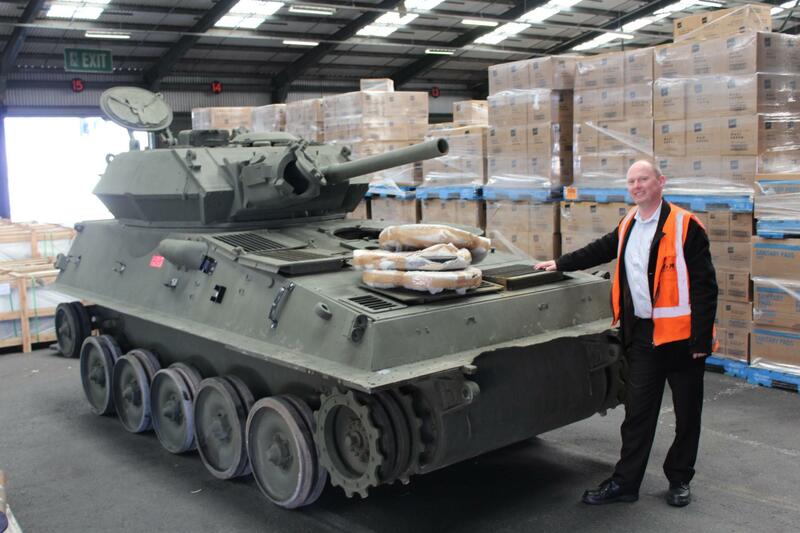 The NZ Scorpion was officially withdrawn from service in June 1996, and it was about 1998 that Helston's loaded what remained out of the country. They were still in the "Merdec" Camo scheme of the day. Cheers from The Tank Factory. Cant wait to see this progress...... Nice scopes! Upper Hutt in Wellington Region. Yes sorting photos now to keep them in order of progress. Thanks Andrew. Your help and support has really encouraged us to what can be done. You Valentine project is nothing but spectacular. Hi David. Yes nice scopes. We shall cover that topic off as the storyline goes along. 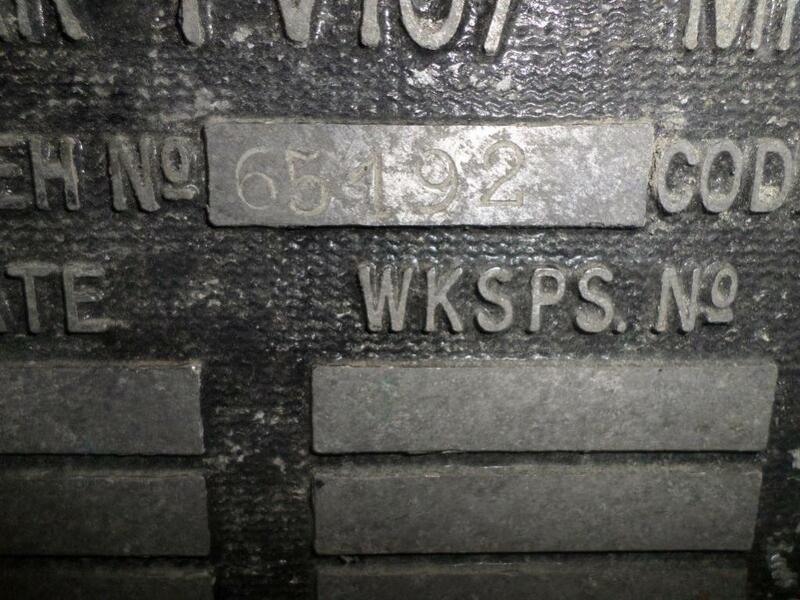 We would like to thank you for all the work you did for us to make this project possible and recovery of scopes. 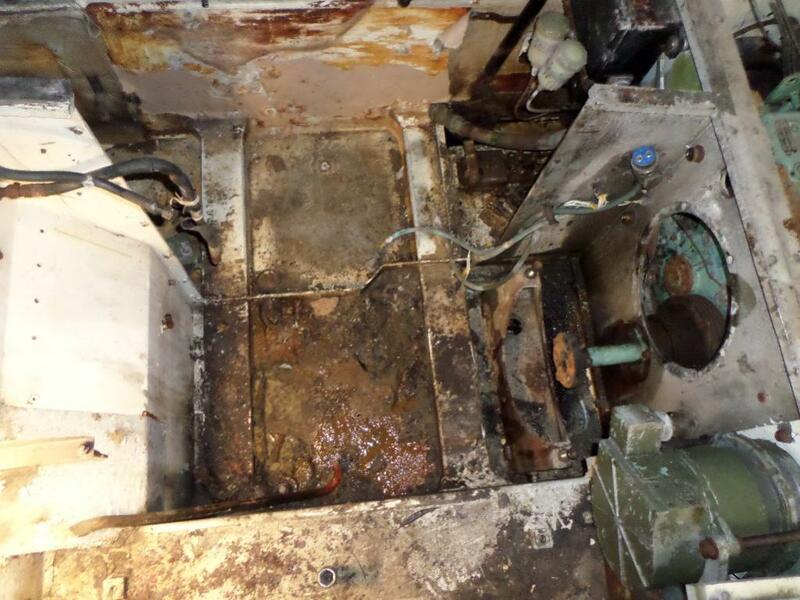 Previous owners had sand blasted and primed the exterior hull so that was a great start for us so that will be some time and expense saved. 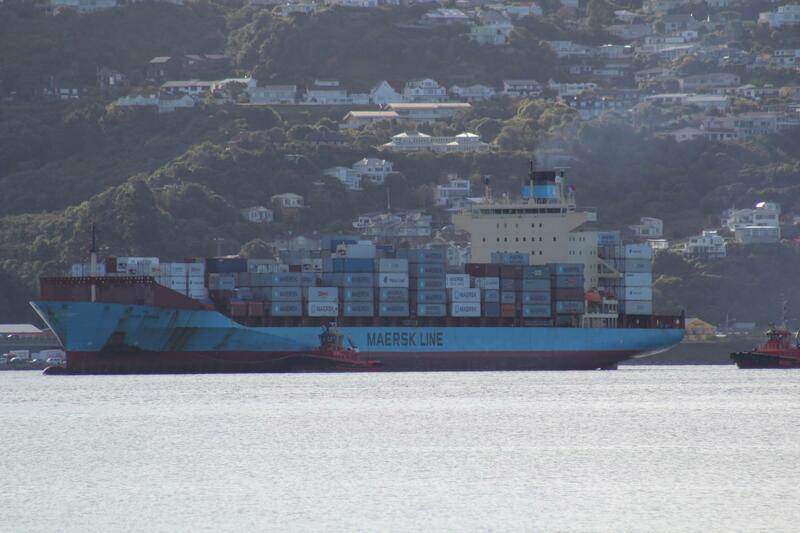 Shipment in 40ft container via Suez Canal, trans shipment Singapore, finally arrives Wellington, New Zealand 30 May 2016 on board Olga Maersk (it was hopefully in one of those containers?. 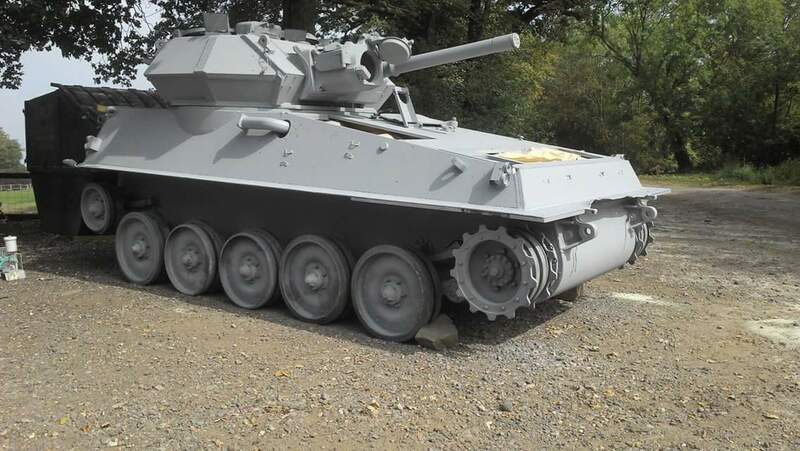 It's odd the PO went through all the effort to sandblast and paint, but not to straighten the bent sponsons. Hi Vince, Yes a small World - but still expensive to move stuff from one side to the other..
Customs cleared just over a week later so we were allowed to go into freight warehouse to inspect. "Batteries not included, some assembly required, no glue provided with this kit"
Congratulations, you are very lucky and may you have many hours of fun with it. Spares were released to us so we had these delivered to the workshop. 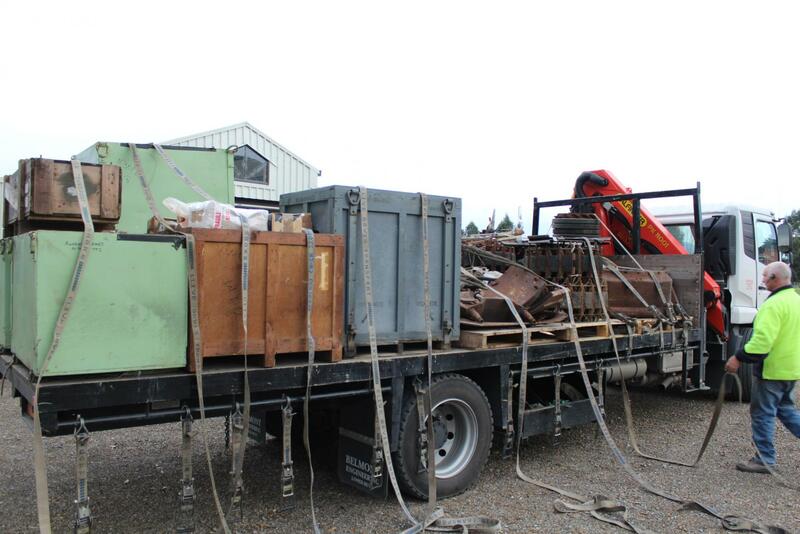 The container also included some goodies for other people's restorations so there was a good load to unpack. 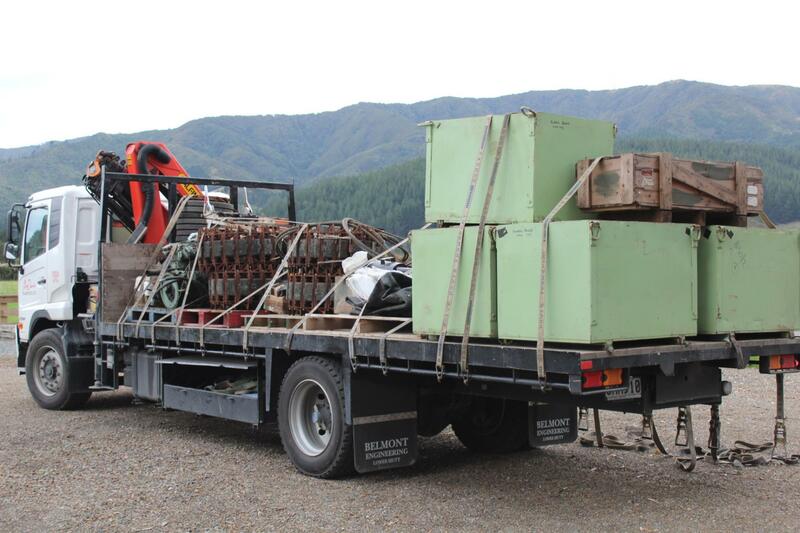 The 4 large green boxes contained reconditioned transmissions (undertaken by Andrew Baker) which were heading to the Tank Factory but 1 ear tagged for our project. 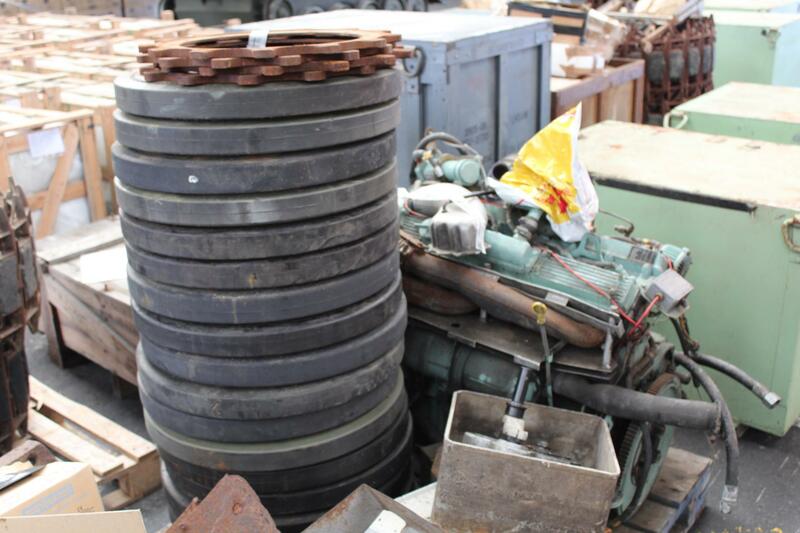 also for us -2 sets of tracks, 2 j60 engines, replacement road wheels and several other goodies. Unfortunately we were missing the drivers seat and the periscopes. A few days later the hull was delivered. 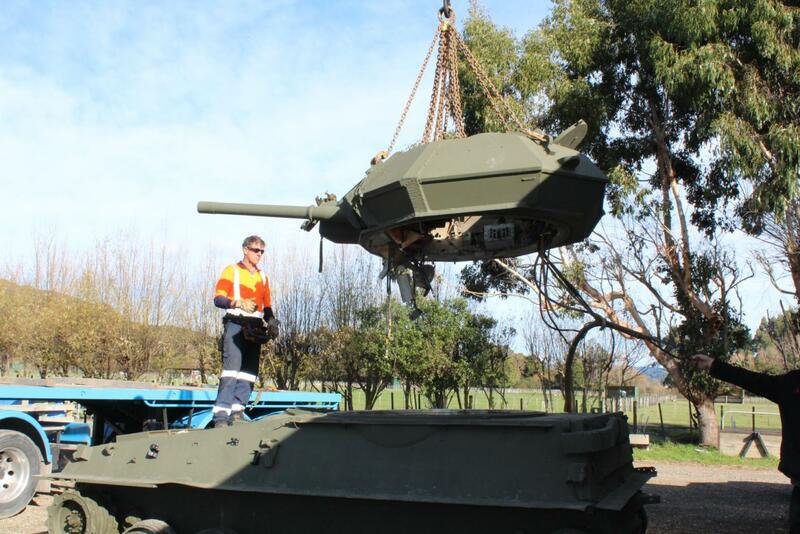 It was decided that whilst we had the use of the crane, to lift the turret off. 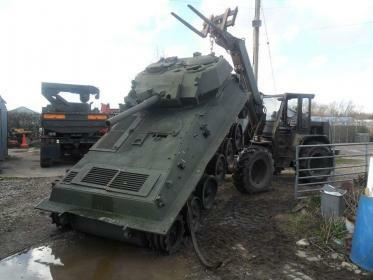 It was only held on by a few bolts which were quickly removed. 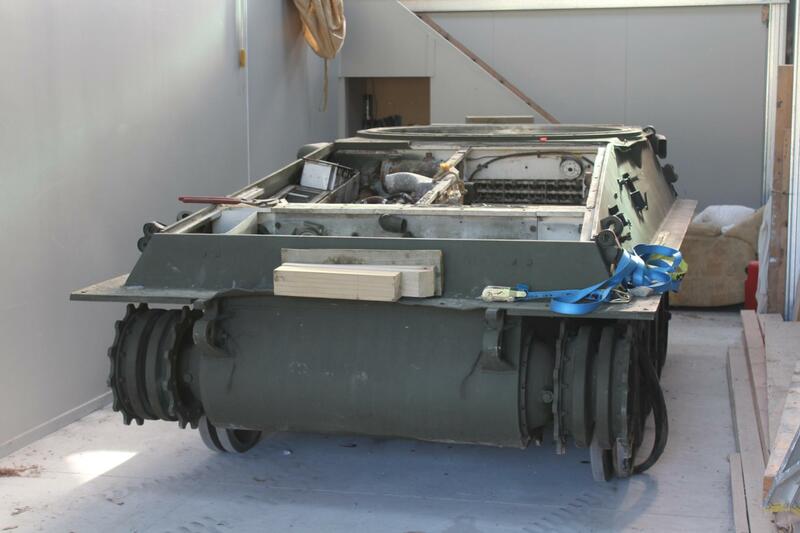 Hull then placed in the shed ready to access the work required and start to strip out. 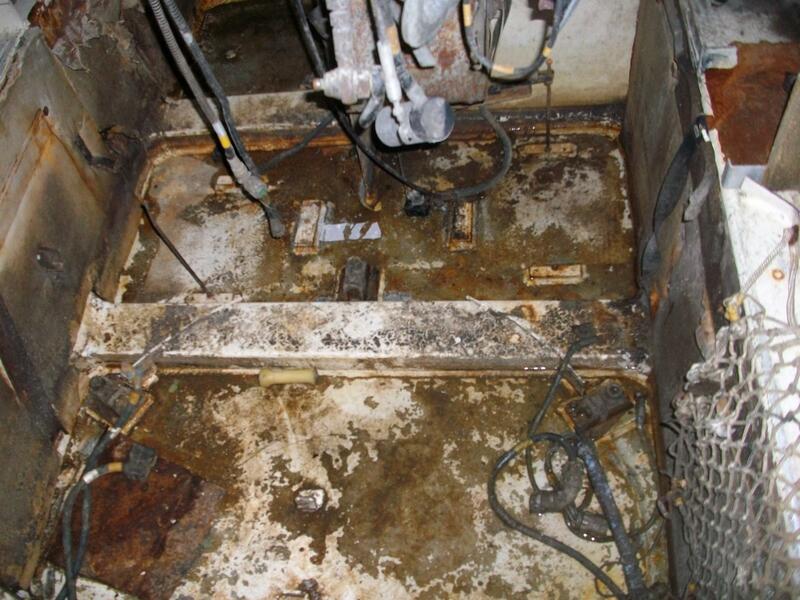 We had already decided that we would completely strip the internals of the Hull. What we were faced with was not a surprise seeing what others have encountered with these poor vehicles being left to the elements for so long. Brett had the engine out without too much trouble other than the reach on the engine lifter. Luckily he had one of his diggers nearby to finish the job. 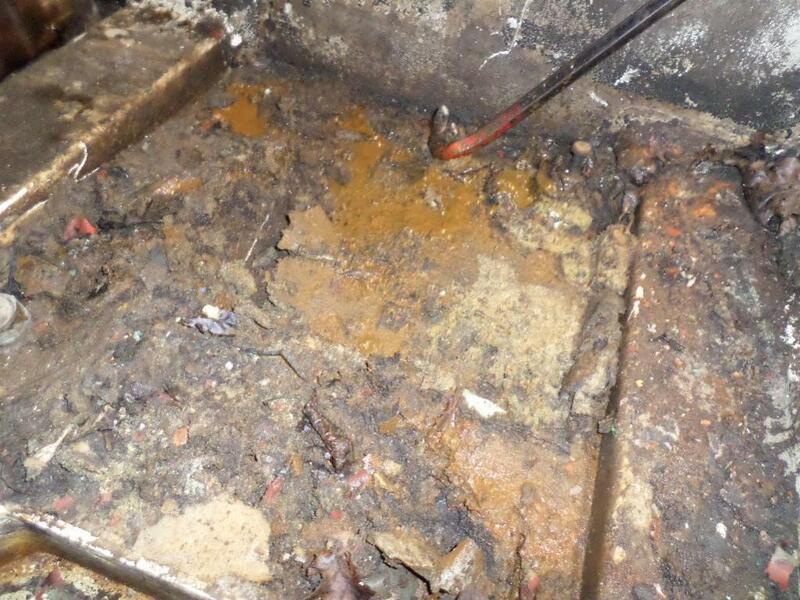 Then the interesting look at what will be found underneath the engine. I nice mess of oil and dust accumulated to about a inch thick but quickly removed. 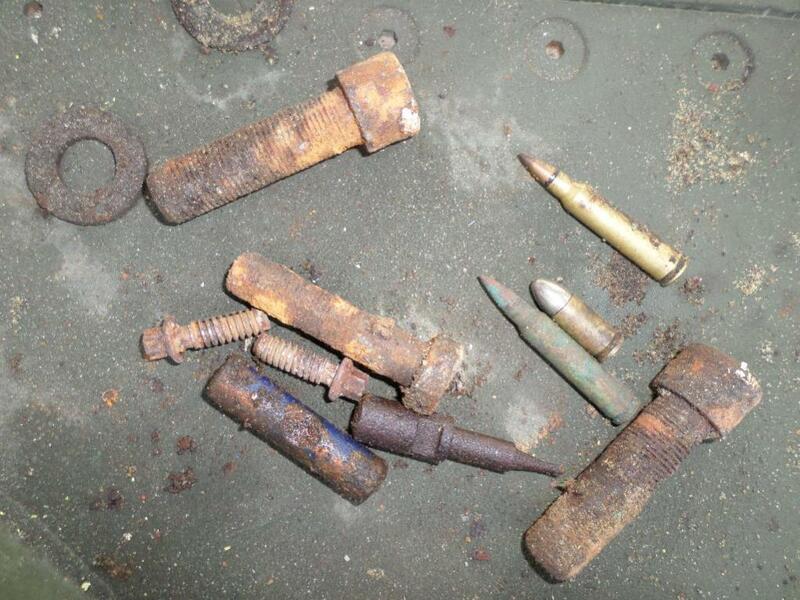 A couple of bolts plus 3 live ammunition rounds - appear to be 9mm pistol and 5.56mm rifle. 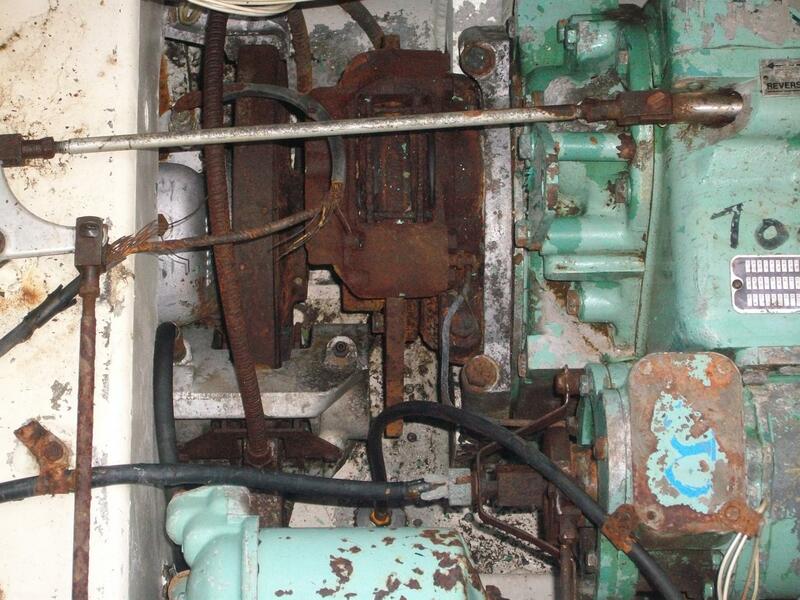 Engine is probably a right off as been sitting for some time and probably full of water. 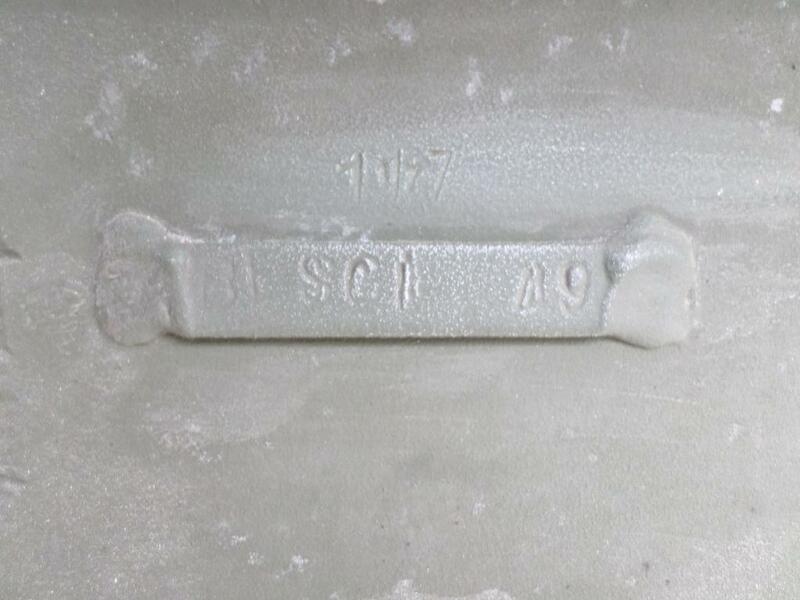 May be a good boat anchor or instructional to pull apart and inspect. 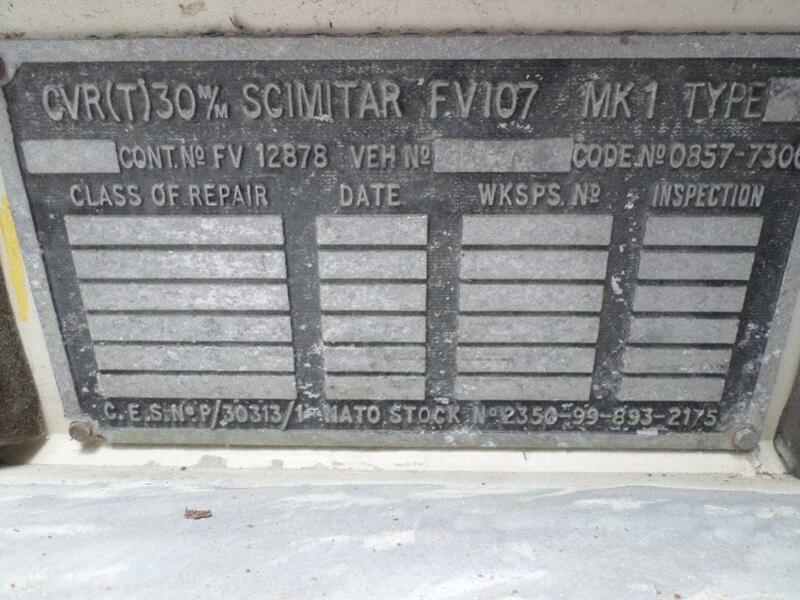 Anyone out there got any photos of a Belgium Scimitar with Hull Number 65192? 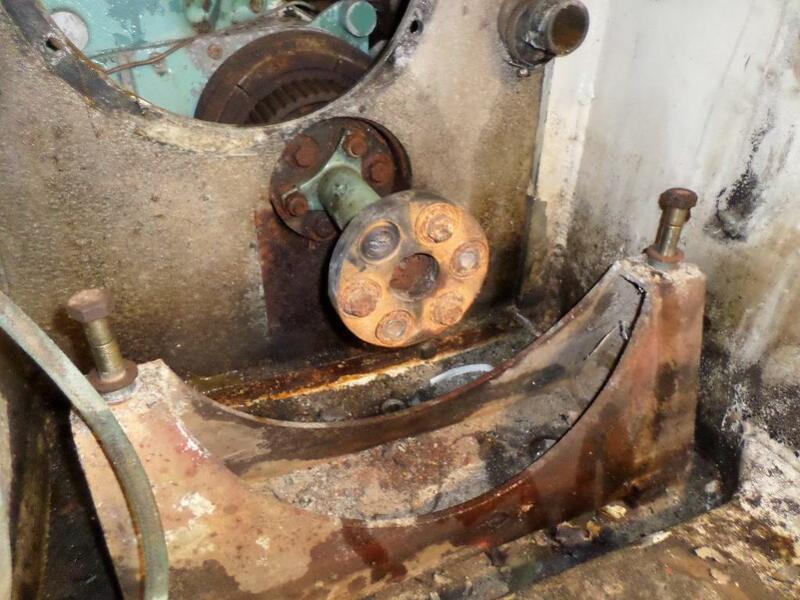 What do you plan to do with the coupling shaft? Will you keep it or change it up? 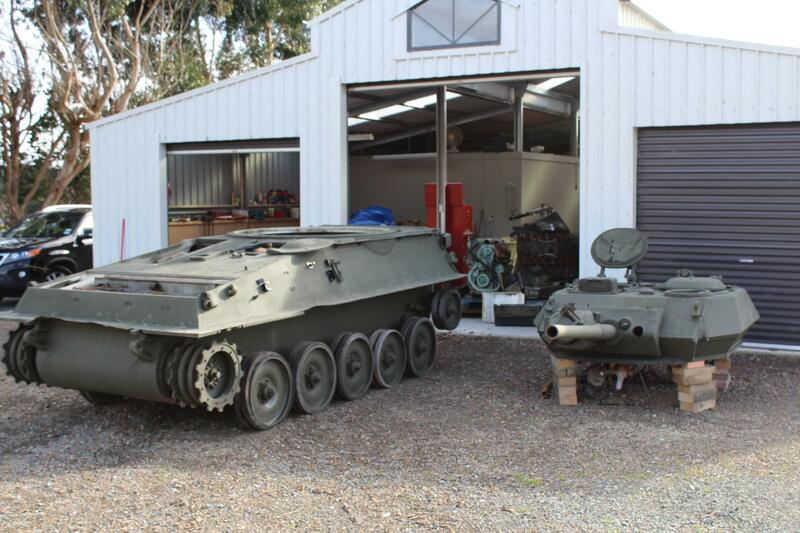 There is a CVR(T) FB group and there were a couple f Belgians posting on there and tracing vehicles for folks.